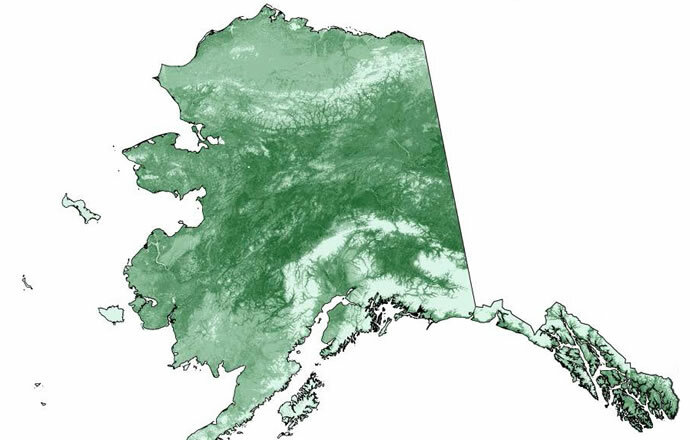 Breeding range in western Alaska consists of coastal salt marshes that grade into thousands of wetlands and lakes. Sedges, grasses with higher areas containing shrubs. Islands in river deltas and wetlands characterize habitat on the north slope (King and Dau 1981, Feder et al. 1994, Anderson et al. 1999). Anderson, B. A., C. B. Johnson, B. A. Cooper, L. N. Smith, and A. A. Stickney. 1999. Habitat associations of nesting Spectacled Eiders on the Arctic Coastal Plain of Alaska. Pp. 27-33 in Behaviour and ecology of sea ducks (R. I. Goudie, M. R. Petersen, and G. J. Robertson, eds.) Can. Wildl. Serc. Occas. Pap. no. 100. Feder, H. M., A. S. Naidu, S. C. Jewett, J. M. Hameedi, W. R. Johnson, and T. E. Whitledge. 1994. The northeastern Chukchi Sea: benthos-environmental interactions. Mar. Ecol. Prog. Ser. 111:171-190. King, J.G. and C.P. Dau. 1981. 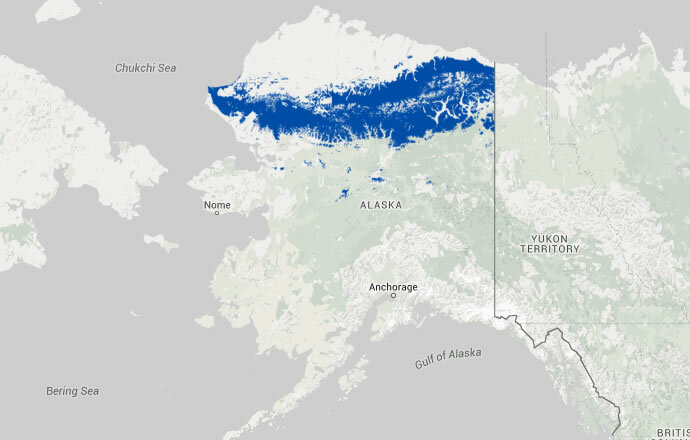 Waterfowl and their habitats in the eastern Bering Sea. Pp. 739-753 In: D.W. Hood and J.A. Calder (eds.). The eastern Bering Sea shelf: its oceanography and resources. Vol. 2. NOAA and BLM.